Yesterday was World AIDS Day and this year, as we work to raise awareness around HIV and gather support for those who are living with HIV/AIDS, we should also take a moment to recognize the profound impact that the Affordable Care Act will have on prevention, detection, and treatment of HIV/AIDS. 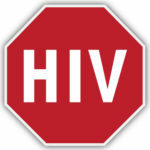 One in 5 people with HIV is unaware of his or her infection. With the Affordable Care Act, 1.1 million Americans living with HIV will no longer be denied health insurance coverage because HIV is a “pre-existing condition.” More people living with HIV/AIDS will have access to affordable health insurance coverage to get the care they need, and millions of Americans will have access to preventive health care services that include HIV testing without a co-pay. There is no doubt that we have come a long way in the fight against HIV/AIDS, especially given the advances of the ACA, yet the epidemic continues to affect millions of people throughout the world with some communities impacted more than others. In the United States, more than 56,000 people become infected with HIV each year. About one-third of new HIV cases are in young people, ages 13 to 29. According to the Arizona Department of Health Services, there are more than 15,000 Arizonans living with HIV/AIDS with some of the highest rates in Maricopa and Pima counties. As the largest nonprofit sexual health care provider in Arizona, Planned Parenthood is committed to reducing the impact of the HIV/AIDS epidemic by providing nonjudgmental, comprehensive, high-quality reproductive health care to all women, men, and young people. Planned Parenthood Arizona has health centers throughout Arizona that provide a range of health care services, including HIV testing, STD testing and treatment, cancer screenings, birth control, vaccinations, and primary care. We also serve as an expert resource in medically accurate sexuality education. As a trusted health care provider and sexual health educator, we strive to educate women, men, and young people about how to prevent HIV and other STDs. In addition to diligent condom use and regular STD screening, practicing abstinence and having one partner who has no other intimate partners can also help to reduce the risk of getting an STD (including HIV). So, today I ask you to join Planned Parenthood in fighting for the healthiest generation ever. About Bryan Howard: Bryan Howard is president and CEO of Planned Parenthood Arizona and a board member at Reproductive Health Technology Project, a Washington, D.C.-based research organization.